Lobo, which translates to wolf in Spanish, is one of my favourite Australian cider makers. I love the authenticity that their ciders show, by letting the fruit be the hero, and keeping it unfiltered and naturally carbonated and sweet. Keeping it real baby!! The 2010 Lobo Royale, holds true to this being cloudy and unfiltered, totally fruit dominated with natural fizz, styled towards a traditional Normandy cider. What more could you ask for? This cider is unique as it is made with real cider apples, predominately Kingston Black (a bittersharp variety), with their traditional Lobo Pink Lady/Golden Delicious base. The nose shows complex notes of funky rustic, wild ferment goodness, with intense apple notes coming from their blend of cider and dessert apples. The natural fizz holds it's own too, with good carbonation levels in the glass under the bright cloudy orange colour. Palate wise, it has great structure with the cloudiness and yeast lees giving a good textural feel. A good tannin balance also helps to add another layer to this already complex cider. This cider is naturally sweet too, which is produced by a natural phenomenon called keeving. I will cover keeving in more detail in the near future. The Lobo Royale is intense as is complex and is a really keen ciders drinker’s drink. The sweetness may not be for everyone, and you better watch out for those last couple glasses, as the yeast and apple sediment become quite thick and bitter. But rest assured you will be amazed none the less! Correct me if I’m wrong, but I believe Lobo are one of only a few producer's keeving their juice in Australia too. They also claim it was their first shot making a cider with the cider apples….not a bad effort boys, not bad at all. It’s just a shame you have to wait six long months to finally drink it once bottled. If you can get your grubby little paws on this cider, then you’re on your way to looking into the future of the Australian cider industry. I will be reviewing Lobo’s new Crabby cider in the coming days, so stay tuned! 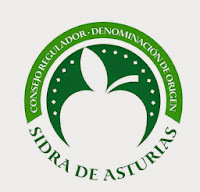 Here we are again, another wine producer dabbling in the growing phenomenon of cider making. Normally, Kellermeister make fantastic Barossa Valley reds (just recently winning some major international awards), but they now have expanded their portfolio to cider. The winery is based in the Barossa Valley which is an hour North of Adelaide, South Australia. This cider would have to be the most complex Australian cider I have come across so far. She’s a beauty! It really opens up and gives you more after each mouthful which is what you want from a cider. Colour wise, it has a dark golden colour, far darker in colour than any of the other ciders I have looked at. In most cases, this could either A: be due to real cider apples being used, or B: oak age, which I believe is the reason here. It is filtered clear and has a good carbonation level aiding the mouth feel. The nose worried me to begin with, showing a wet hair funk character. This would likely be again due to oak age which also gave off a small bretty character. Once that 'funk' blew off, it revealed a real rustic, red apple, nutty cider which excited the nose. I couldn’t stop whiffing it, as it was opening up more and more as it warmed up. Palate wise the mouth feel was uncanny being soft and almost fluffy like. It was like a cloud floating across your tongue (strange but true)! It went down slightly off dry, even though it’s labelled dry and was balanced with just, and I mean just, the smallest amount of acidity. Initially it finished a little out of balance, or a little confused, but every sip I took it got better and better. I can’t put my finger on it, but it really had two personalities. Nice candied apple characters were moulded together with a woody length which created a pleasing finish. Overall, this cider is a really good example of what winemakers can dish out. You can see it has been made by winemakers and targeted towards men with a thirst. I am a big fan of this cider as a lot of thought has gone into its conception and style. Marketed well, this can do very well in the ever growing competitive cider market as it offers something different. It offers complexity, interest and uniqueness and I strongly urge anyone to head out and give this one a go. Three Oaks is a cider producer made by a bunch of Mclaren Vale Winemakers. Mclaren Vale is one of South Australia's premier wine regions and it seems trendy now for anyone in the winemaking game to produce ciders. We are now seeing many new labels on our local shelves originating from wine producing companies. This cider is an interesting beast, with the 'made from local and imported ingredients' slogan firstly catching my eye. Is this an infamous case of importing concentrate from overseas countries? The cider itself seemed a little confusing, with a real concentrate character making it taste a little fake. Not to say it’s a bad cider, but I couldn’t see any authenticity there. Overall, the cider is a solid effort, but not a cider which would leave a lasting impression. It just didn’t hit the spot for a keen cider lover like myself. If you’re a South Australian, then give it a go to help support local businesses, but I feel there are better SA or Australian ciders out there. But get out there and give it a go to say you have tried it! I came across this cheeky little swiss number at a hostel bar in Lauterbrunnen, Switzerland. It’s made by Pomdor Suisse, which is located in Suisse, Switzerland and they also make lightly carbonated apple juices. Being surrounded by quaint swiss mountain homes in the European winter with Jungfrau towering over us was the perfect setting to down a few ciders. The cider itself immediately caught my 'scoping of the bar fridge' eye due to the swing top bottle it was presented in. After throwing a wad of Swiss Franc across the bar, a round of Ramseier’s finest was ready for action. After peeling off the label which sealed in the swing top, I was greeted with that beautiful “tissssss” sound. The cider was a nice clear golden colour with a good level of carbonation in the glass. The nose was fresh with just a hint of sulphur, but inviting overall. I noticed using my perfect German/Swiss interpretation skills, that it was made from concentrate. Usually I would turn my nose up to this, but hey, when are you ever in the swiss mountains? The cider drank really well, nicely carbonated which foamed up in the mouth and eased it’s way down. Beautiful fresh apples coupled with lean tartness and a hint of sweetness greeted me on the palate. It was going down a treat with my potato rosti and swiss sausage which was served for dinner. A touch one dimensional, but I guess you expect that from ciders made from concentrate. At 4% alcohol and in 500mL bottles, this lighter styled cider definitely had all of us wanting more. Would the developing palates of the modern Aussie cider drinker drink it? I reckon they would, as it would be perfect for our hot summers, and maybe not the sub 10 degree temperatures of Europe's winter! I was told that the bottles were all collected at the hostel and sent back to the brewery to be cleaned and refilled again. That I believe is genius, and we could learn from that here in Australia, not with just cider, but all beverages. Overall, this cider was a really good entry level to a lesser known cider making country of Europe. If you ever get the chance to head over to Switzerland, then give this cider a go. It’s simple, easy and best drunk cold. Ahhhh! That’s how this review is going to begin. It’s not everyday a complex, authentic and completely addictive farmhouse cider comes along and leaves an immediate imprint on your brain. This baby is from Wales, Pontypridd to be exact and it’s without doubt one of the better ciders I’ve come across. Welsh ciders are almost completely unknown here in Australia which is a real shame. Many producers travel east over the boarder into England to source the fruit for their ciders. 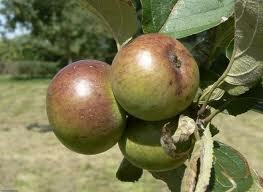 But the majority of the fruit for Gwynt Y Ddraig comes from the Welsh orchards giving real authenticity. Wales has a thriving cider industry of small craft cider producers and hold events like the Welsh Perry and Cider Festival and the Welsh Cider and Cheese Festival. This cider is a single varietal, with Dabinett playing the lead role. Dabinett (pictured below) is a heritage English variety which falls under the bittersweet category of cider apples. If the fruit and resulting ciders made from dabinett are considered good quality, they are most certainly made into single variety offerings. As many varieties need qualities of others to make a final blend, eg bittersweets with sharps etc. I have this variety in my orchard! The cider itself, as I’ve said, is top quality gear. It has a nice light fizz and is filtered to a beautiful golden orange brilliance. Where do I start on the nose? Beautiful floral and freshly picked apple characters, with hints of melon are complexed with small amounts of brett from the oak age. The cider also has tiny notes of volatile acidity which is in no way offensive but carries the farmhouse style. There's also a touch of sulphur which does blow off. This is a super complex nose which had me intrigued from the word go, as there are so many things going on. Palate wise the bittersweet apples offer a real nice balance of the medium sweetness and acidity which gives a crisp finish. The tannins finish soft with a slight hint of bitterness on the back palate. Obvious characters of apple, honey and stewed apricots linger on the palate of this full bodied cider. Yowzers, this cider was yum. This is a true ridgy didge Welsh cider and it did not disappoint one bit. It was super complex and it kept you coming back for more. I strongly urge any keen cider enthusiast to go out and grab one. I will be reviewing another Gywnt Y Ddraig cider in the very near future and I can’t wait! I look forward to sharing that with you all! To the unfamiliar and/or geographically challenged, Suffolk is a county in the east of England which borders the North Sea. It is known for its agricultural capabilities, which makes sense if apple orchards are present. Traditional English ciders are more commonly found in the west to south west parts of the country, with Herefordshire and Somerset being the most popular. So to see a cyder from this part of England is really interesting. What I love about this cyder company is the tradition and passion. It has been making cyder since 1728 and today is still being produced by the 8th generation of the Chevallier family. Obviously things have changed a little over the last few centuries, but it’s always fascinating to see such heritage and history in a bottle. What strikes me immediately with this product is the really funky champagne style bottle shape. It’s really inviting and stands out amongst the gazillion ciders in a local bottle shop. Who says you don’t judge a book by its cover right? It’s available in the standard 330mL bottles, or the larger 500mL’s here in Australia, but a draught style cider is usually more commonly served on tap in a local pub. I’ve had this cyder a fair few times I must admit, but the one thing that gets me every time is the sulphur levels. They’re high! On the nose and palate, I can’t escape the steely sulphur dioxide character. This could be present in the Aspall export products to help preserve the cyder for the round the world trip to Australia, that’s my guess? There is a good light level of carbonation, which blends in well with the clear, filtered, lighter golden straw colour. In the glass, besides the sulphur, you get a subtle apple peel character intertwined with a pleasant spice note. Once the cyder warms up a touch in the glass, a more floral note appears, almost like rose petals. Overall the nose is quite subdued, but if you go searching you will find some redeeming features. Palate wise, it’s not as interesting with no real apple characters present. It has some upfront sweetness/sour balance, but it finishes super short. This cyder consists of a blend of dessert and ciders apples, which can explain the real tartness/sourness you get when you take in a mouthful. The sweetness does coat the mouth in a pleasant way, with the bubble lifting the overall experience. Really in summary, this cyder is clean, simple, faultless but a little straight forward. I do believe though that this would be a good introduction for anyone wanting to give English cyder a go. At the end of the day, it’s a reliable cyder which ticks the boxes for what really is becoming quite a popular drink here in Australia. This cider reeks (in a good way) of sessionability. Picture this – hot summer’s day, 5 kg’s of meat slapped on the barbie, your best mates and the AFL GF on the telly. What’s missing here? An esky stacked to the brim with The Hills Cider on ice. These boys have been super clever by matching catchy marketing, having a great story of looking after the local’s, and making a light easy drinking cider. Combine all these, along with desperate Adelaidian’s yearning for a thirst quenching cider gives you a recipe for success. Straight up this cider is clean, fresh and full of appley goodness. It is filtered to a brilliant finish and is golden straw in colour. The nose smells of freshly picked granny apples which gives you a sense of excitement and fun. To the trained nose, this cider can sometimes show a potassium sorbate stench, but it’s not at all detrimental to the final product. I was a little disappointed with the carbonation, which vanished quite quickly. This probably is due to the artificial carbonation which gives off a smaller bead with overly large bubbles that fade fast. I was always taught – “the faster the bubbles go in, the faster they disappear”, basically describing artificial carbonation versus method traditional which is bottle induced carbonation. Palate wise, she’s full of lip smacking tartness which is combined with some residual sweetness to add weight. The tartness lingers on your lips after every sip and becomes increasing addictive. This tartness can be traced to the dessert apples used in the recipe. There even is a tiny phenolic presence which adds texture. There was a little hint of alcohol warmness towards the back palate too, which I didn’t mind. Overall, I find this cider a really pleasant drop and it’s made quite well. It may not be the most complex or traditional, but it’s made to suit the palates of the everyday Aussie cider drinkers. It’s a cider which makes you come back for more, and this is why the cider is the perfect recipe for success. Congrats boys on a great product! My name is James Adams and I'm a self confessed cider junkie. I'm out to give people a perspective on the so called 'trendy' Aussie ciders which are proliferating like wildfire on our local bottle shop shelves. I also want to delve into the more unknown, the more misunderstood, the true original ciders as such. These include the French and English and all in between. These are the real heros which I am passionate about. What I am currently seeing in the cider market is a niche for Australian producers who are stepping up and making some quality ciders. The battle of the Aussie Winemakers Vs. the Aussie Brewers to gain market share in our bottle shops is as rife as ever. But there are also some amazing boutique, independed producers which need to have their time in the sun. Along with the increasing popularity of the Australian ciders, are as I have mentioned, the more unknown French and English (and to less extent Welsh and Spanish). These ciders are made with traditional heritage apples and traditional production methods. Along with ciders, I will cover topics ranging from apples themselves, cider processing equipment to cider producing regions. 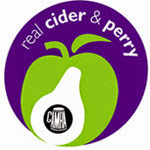 The list goes on, but rest assured it's 100% cider focused with Perry thrown in for good measure. Feel free to drop me a line if there is a topic you want to learn about, a cider you want reviewed or just talk about the new cider you drank on the weekend.